[Reno, Nevada, USA] – This is the season of holiday tradition and Sierra Nevada Ballet celebrates by presenting annual performances of “The Peanutcracker – The Story in a Nutshell” in Reno and Carson City. This year’s production (which ran Dec. 4-15) featured James Applewhite as the Snow Prince/Russian Prince. Applewhite is a tall, thin, handsome, elegant, African-American dancer well-suited to the title of “prince.” In fact, he said that growing up in middle school, he was affectionately given that nickname by his friends. Upon graduation from high school, Applewhite was offered scholarships to the best ballet schools in the world. He continued his ballet training at the JKO School of American Ballet Theater in New York and was then offered a professional contract with the National Ballet of Canada, the Orlando Ballet and later the Dance Theatre of Harlem. Applewhite’s path was not always easy. He found that he continuously fought against being stereotyped, not only as a male ballet dancer, but as an African-American ballet dancer. He discovered that those two labels conjured up a number of preconceived notions that had no relevance to his position in life. Many people were surprised to find that he was “a strong, straight, intelligent African-American man capable of supporting a woman in every way – on stage and off.” Applewhite is a gifted partner and, while he enjoys solo dancing, one of his greatest joys is dancing pas deux, a dance for a man and a woman. 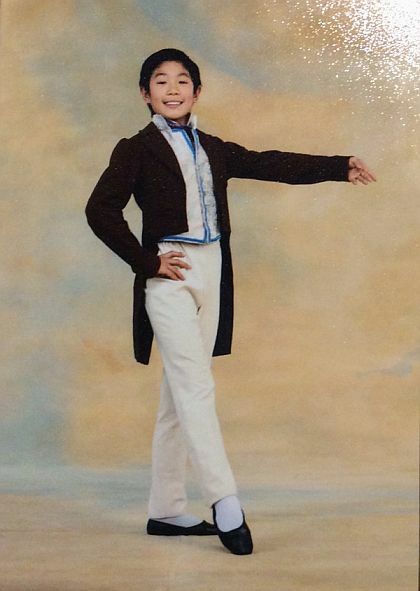 [Bedford, Massachusetts, USA] – Koa Chun, of Bedford is performing in Boston Ballet’s production of Mikko Nissinen’s The Nutcracker in the role of Fritz. Koa has been a student at Boston Ballet School for 4 years. He is in the 6th grade at John Glenn Middle School and has performed with the Boston Ballet School for 5 years. The Nutcracker, a timeless holiday classic, will run through December 31, 2015 at the Boston Opera House. 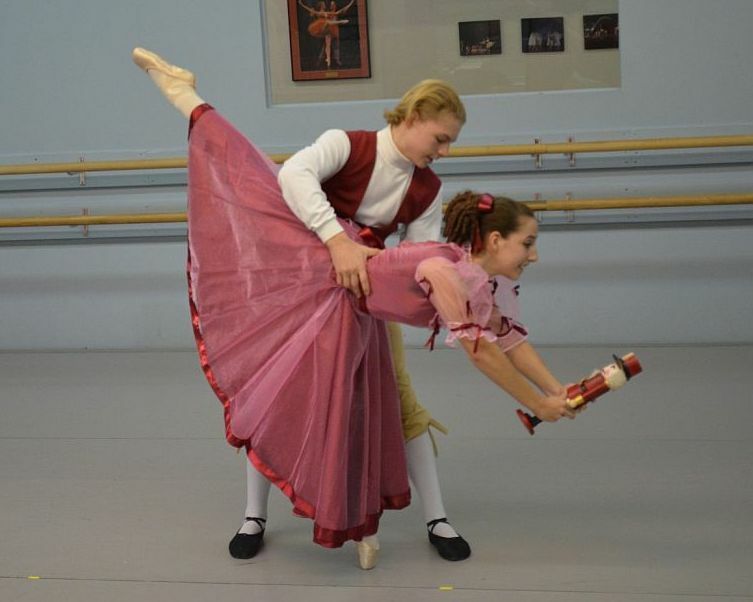 Koa joins more than 200 other young students from around New England in The Nutcracker. Three different casts will take on various roles, such as toy soldiers, pages, reindeer, lambs, polichinelles, baby mice, and party children during Boston Ballet’s 42 performances of The Nutcracker. Since its world premiere in 2012, Mikko Nissinen and Robert Perdziola’s entirely re-envisioned production, set in what many know as the Jane Austen era of the early 1800s, has gained record-breaking popularity. With more than 350 handmade costumes and a series of elaborate sets featuring extensive amounts of moving scenery, the production has transformed into a uniquely magical experience. This year’s production features all new lighting design by award-winning Finnish lighting designer Mikki Kunttu. Kunttu will bring a fresh, innovative perspective to this timeless holiday classic. Students of Boston Ballet School in The Nutcracker were hailed by The Boston Globe as “adorable, focused and disciplined” handling serious pattern and partner work with “impressive aplomb.” All children performing in The Nutcracker are students of Boston Ballet School and coached by an experienced staff including Boston Ballet’s Artistic Director Mikko Nissinen, Boston Ballet School’s Director Margaret Tracey, Ballet Mistress Melanie Atkins, and Boston Ballet School’s world-renowned faculty. Students have an exciting schedule through the months of October, November, and December, which includes rehearsals with company dancers, costume fittings, experiencing the unique, backstage atmosphere at The Boston Opera House, and numerous performances accompanied by Boston Ballet Orchestra and enthusiastic audiences. Participating in a full-length ballet is an important performance opportunity for students, exposing them to aspects of ballet they don’t experience in a regular class. The students learn about the hard work and enjoyment that composes a live ballet performance, and have the unique opportunity to dance alongside Boston Ballet’s internationally acclaimed company dancers. For a full synopsis and additional details, visit http://www.bostonballet.org/nutcracker/. Since 1963, Boston Ballet’s internationally acclaimed performances of classical, neo-classical, and contemporary ballets, combined with a dedication to world class dance education and community initiative programs, have made the institution a leader in its field, with a 52-year history of promoting excellence and access to dance. Under the leadership of Artistic Director Mikko Nissinen and Executive Director Max Hodges, the Company maintains a diverse repertoire, ranging from full-length ballets to new works by some of today’s finest choreographers. Boston Ballet’s second company, Boston Ballet II, is comprised of dancers who gain experience by performing with the Company and independently, presenting special programs to audiences throughout the Northeast. Boston Ballet School, the official school of Boston Ballet, has a long-standing dedication to providing exceptional dance education and ballet training to students across three studios in Boston, Newton, and the North Shore. Led by Director Margaret Tracey, the School reaches more than 5,000 students (toddler to adult) each year through its four core programs: Children’s Program, Classical Ballet Program, Adult Dance Program, and Pre-Professional Program. [Manassas, Virginia, USA] – J.T. Herndon was selling coffee and hot cocoa with his Boy Scout troop at the Haymarket Day Parade two years ago when Manassas Ballet Theatre costumer Christina Brooks made the boys an offer. She told them if they tried out for the professional ballet company’s “Nutcracker” performance, she would buy some coffee. “I was skeptical,” said the strapping 13-year-old, then a sixth-grade student who was very much into football. But J.T. auditioned for a role as a soldier, and he said he liked it so much he continued taking classes after the show wrapped. When football tryouts rolled around the following year, J.T.’s coach pulled his mother aside and asked what accounted for his improvement. “He was asking my mom, ‘What did you do?’ ” J.T. said. The footwork he had developed in ballet had boosted his agility and speed on the field. “And when I jumped up to get the ball, that helped a lot because of all the jumps I did” in ballet. J.T. is rehearsing with the other dancers for this year’s production of “The Nutcracker,” which will be performed from Dec. 17 to 23 at the Hylton Performing Arts Center. This year, J.T. will play Fritz with one of the company’s two casts, and the roles of lead soldier and a boy in the party scene for the other. Amy Grant Wolfe, Manassas Ballet’s artistic director, said it can be tough to draw boys to dance. “American society thinks of ballet for very little girls, period,” Wolfe said, adding that changing the cultural perception about ballet is a gradual process. J.T., who said he has faced teasing at school over his decision to pursue dancing, has also found role models in the older boys and male dancers in the company. 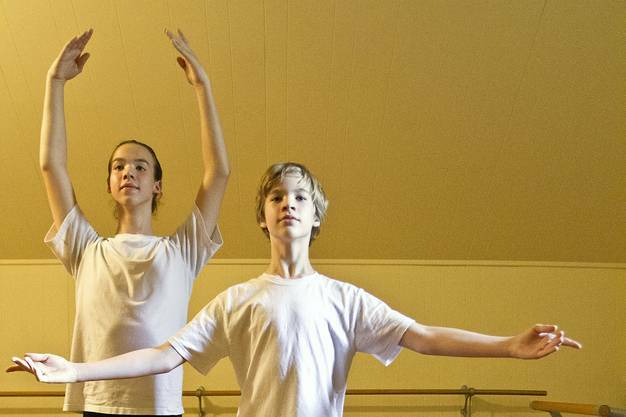 With about two years of combined ballet experience, Victoria dance students Quinton, 11, and Ian Brooks, 14, have been selected to dance in a production of “The Nutcracker” by a pre-professional Austin dance academy. When Marti met the brothers in January 2014 at an event that connects home-schooled students with extracurricular activities, she didn’t know she was introducing herself to two of the most talented dancers she would ever teach. They met one day at random, said Michelle Brooks, mother of Ian and Quinton. “There was a home-schooling convention at a Lutheran church, and (Marti) had a booth there,” Brooks said. After starting tap lessons with Marti, the brothers expanded their dance repertoire to include jazz, contemporary and ballet. “I wasn’t sure they would be students at first,” Marti said. Before long, Marti began to realize how special Ian and Quinton really were. “I just saw such fast progression from these boys that I was amazed,” she said. Marti said when she sent a video audition of the brothers to the Austin Metamorphosis Dance Ensemble in September, she knew it was a long shot. Although Marti said she knew the company was in need of male dancers for its next production, “The Nutcracker: Suite Dreams,” she was also aware of the level of prestige at AMDE. The ensemble places strict requirements on any who wish to study at the company and even stricter demands for those who wish to perform. Marti was blown away when she heard the news. AMDE wanted to cast Quinton in the leading role of the Nutcracker Prince and wrote in a new part for his younger brother, Ian. Considering her experience with the brothers, Marti said she probably shouldn’t have been surprised. Despite their shared last names and a passion for dance, the two brothers are certainly individuals. Ian, a quiet young man with thoughtful eyes and long, dark hair enjoys practicing piano, horseback riding and singing. 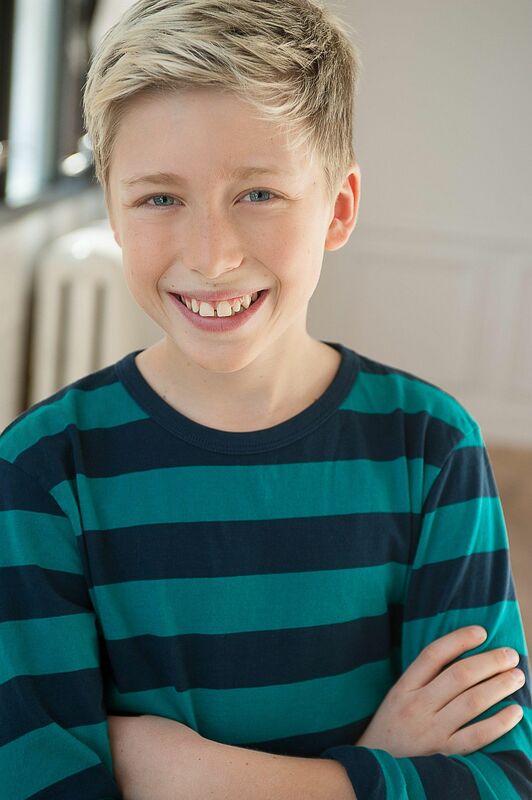 Blond-haired and shorter by about a foot, Quinton’s fearless enthusiasm and easy laugh complement his perpetually confident grin. While his brother prefers to devote his time to horses and music, Quinton spends his time crocheting, reading myths and fairy tales and painting. He also finds time to care for a saltwater aquarium inhabited by a goby fish and starfish. In his bedroom hangs one of his many watercolor paintings he’s finished, “The Lunar Eclipse.” In 2014, another one of Quinton’s paintings, “The Lonely Flower,” won third place in a contest by the Victoria Art League. Ian and Quinton may have plenty of other hobbies, but for now ballet is a priority. A former dancer herself, Michelle Brooks said she never pressured the brothers into dancing. She sets herself apart from the stereotypical dance mom persona with a decidedly hands off approach. “I just try to hang back and let (Marti) handle all the corrections,” Brooks said. “Because she has gotten them to where they are. They’ve come a very long way.” Her sons have enough motivation on their own, she said. Brooks said she enjoys watching her sons succeed, but the real prize is seeing the genuine pleasure Ian and Quinton find in dancing. She is happy in her confidence that both boys dance because they want to. 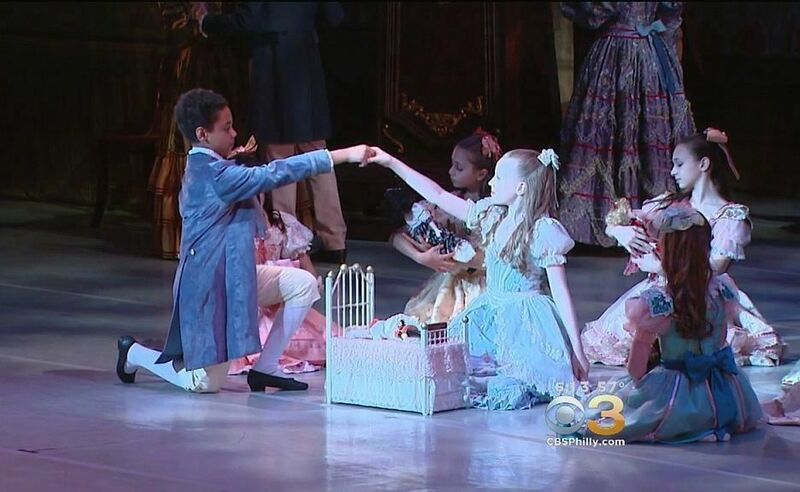 [Philadelphia, Pennsylvania, USA] – An 11-year-old boy from South Philadelphia got not one, but *two* of the starring roles in the Pennsylvania Ballet’s production of The Nutcracker at the Academy of Music. Zy’ear Irving loves to move to the music. “And you can feel everything that is going on. You can feel the rhythm, you can feel the beat,” Irving told Eyewitness News. Zy’ear discovered his love for ballet in the first grade. Last year the Pennsylvania Ballet discovered the sixth grader and gave him a scholarship to the ballet school. And for the second year, he’ll step into a royal role as the prince and for the first time- as the nutcracker, too. Zy’ear lives with his grandmother Cheryl Irving, who keeps the future pro organized so he can attend rehearsals six days a week as he prepares to perform in 20 out of 27 shows this season. [Lawrenceville, Georgia, USA] – The growing popularity of dance is evident throughout our culture, and ballet is not just for little girls in tutus anymore. The increasing number of young men participating in the wide world of dance is seen everywhere in all forms of media. 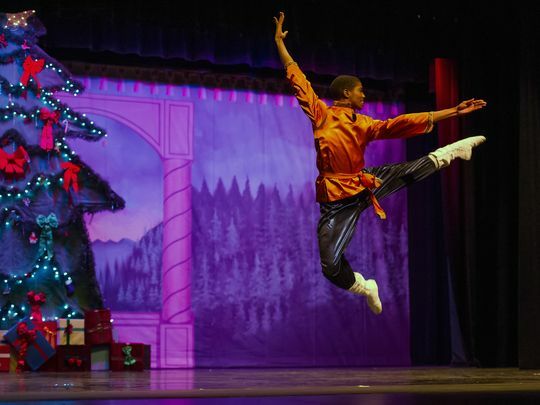 This growing male presence is evident in Gwinnett Ballet Theatre’s upcoming production of “The Nutcracker.” When the curtain rises on the Infinite Energy Theater stage for GBT’s annual holiday offering, 13 young men, all GBT students, will be performing. The nonprofit dance organization has been presenting “The Nutcracker” for 34 years. In the past, male participants have been very scarce or have consisted of hired soloists to play Cavalier to the Sugar Plum Fairy. This year, a strong male presence will run throughout the show, from Party Scene lads to Soldiers to Polichinelles and leaping Russian dancers. Another reason is the growing realization in the public perception that dance is highly athletic and a great physical outlet for all that male energy. From only a couple of young men in GBT’s classes, suddenly there were boys wherever one looked. Young men who participate in dance at GBT enjoy a well-rounded curriculum of classical ballet, and as they grow older, jazz, hip hop and modern instruction. Students progress in physical skills common to all athletic endeavors: strength, endurance, agility, flexibility and coordination. Dance also develops a sense of teamwork, commitment, respect, time management and more. And although occasional injury happens in dance as anywhere else, major injuries such as concussions and broken bones are, unlike some other sports, very infrequent. Whether a young man is interested in a dance career or wishes to enhance his participation in another sport through honing certain physical skills, dance training is a valuable and very fun activity. The “fun factor” is one of the best aspects. Mateo Picone’s parents wanted him to be active, so they enrolled him in gymnastics when he was three years old. Today, the 15-year-old can’t remember a time when he wasn’t breaking a sweat, be it on the tumbling mat, the soccer pitch or, now, in the ballet studio. 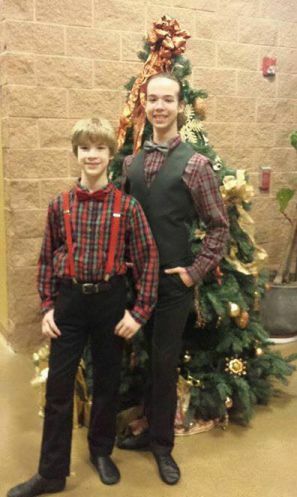 The Pierrefonds teen is poised to debut as the Nutcracker prince in the Ballet Ouest production of the holiday gem.